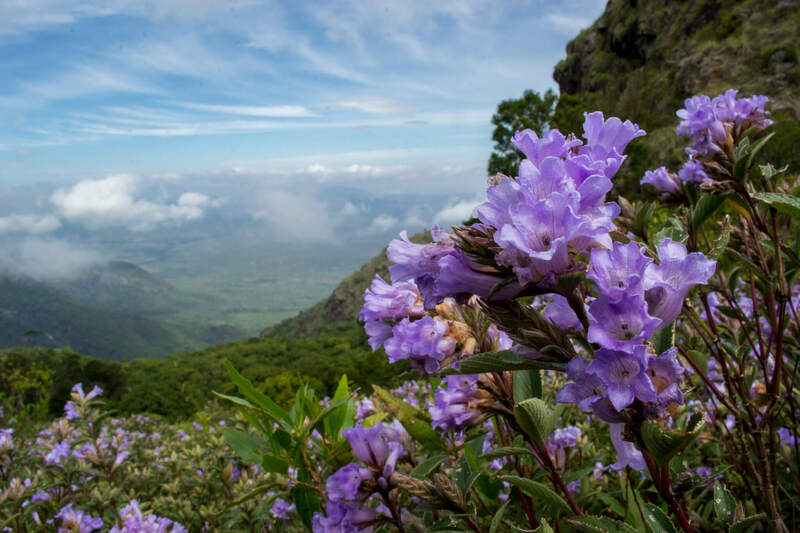 The Blooming of Neelakurinji after 12 Years is a Sight Not to Be Missed in Munnar. Neelakurinji, that’s a unique name for a flower with purple-bluish colour, resembling a bell. In the local Malayalam language, the name stands for ‘blue flowers’. You might not like its scientific tongue-twister name – Strobilanthes Kunthiana. Well, do not worry about that! Neelakurinji is an attractive shrub found in the Shola forests of the Western Ghats in South India that blossoms only one in 12 years. Interesting, isn’t it? Carpeting the vast terrains of Nilgiris, once in twelve years, the mystical Neelakurinji, in its full-bloomed glory is a remarkable sight. The original name ‘Kunthiana’ was derived from River Kunthi and the blooming of this flower provides gives the best chance for sightseeing. The Nilgiri Mountains, which literally means ‘blue mountains’ rise 2,500 metres above sea level, spanning around 55 miles towards north-south direction and 45 miles from east to west in the South Indian region. The mountains are graced by the Moyar River, the Wayanad and Karnataka plateau, adding beauty to the hills. Since many ages, the lofty Nilgiri Mountains have been explored and inhabited by several tribes and groups, making it a vital part of the UNESCO World Network of Biosphere Reserves. The Nilgiris are not just rugged natural wonders; there are many waterfalls and abundant flora and fauna. Over 3,000 species of flowering plants and countless flowerless plants, mosses, land lichens and algae are found in the Sholas territory in the Nilgiris. Now, Sholas are tropical forests with valleys lying among the higher hilly regions of South India. The word Shola usually means ‘a grove’. Neelakurinji Flower – A captivating sight to come across! Among the Shola mountain slopes, a certain area is ornamented in purple-bluish colour that makes up for a spectacular sight once every 12 years and this year, 2018 is one of them. You will be lucky if you travel to Munnar between August and October to witness the heavenly and vivid sight. Where Can You See the Neelakurinji Flower? The magnificent flowers appear approximately 1700m above the sea level among the lush slopes of the Nilgiris, along with the thriving Shola region enveloping the enchanting hill-station of Munnar. Ornamenting the fog-shrouded area, the Neelakurinji Flowers represent the extensive biodiversity that makes the Western Ghats quite famous. In order to admire this natural spectacle, all you need to do is head to the magical hill-station of Munnar located in Kerala. Once you are in Munnar, there are abundant places where you can marvel at the blooming of the Neelakurinji Flower. The Kurinjimala Sanctuary is one of the places. Situated at Kottakamboor and Vattavada villages of Devikulam Taluk in Munnar, the flowers make their presence felt. The last time Neelakurinji Flower carpeted Munnar was in 2006. The second place where visitors can witness the blossoming of these beautiful flowers is at the Eravikulam National Park. The year 2006 was affirmed as the Year of the Kurinji and a stamp was introduced to honour the flower. More than 100,000 tourists flocked to the Idduki region to witness the bloom. However, in 2018 a tremendous change and influx is expected in between June and November. So, if you wish to treat your eye and soul to a stunning phenomenon in the heart of the Western Ghats, better gear up to plan your escape soon.